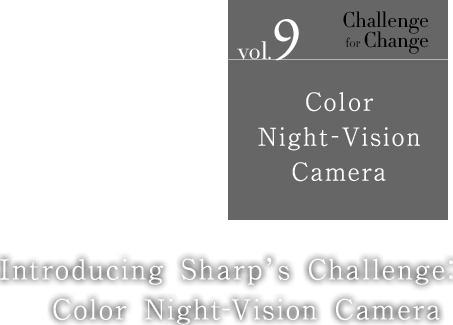 The color night-vision camera was a joint project between Sharp and the National Institute of Advanced Industrial Science and Technology (AIST). 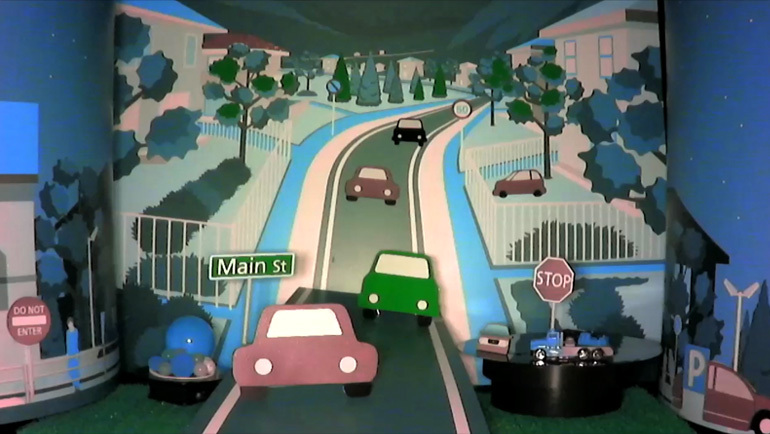 The aim was to bring to market a product that employed the zero-lux color video capture theory, a patent owned by AIST. Sharp was chosen by AIST over a number of companies that applied for the right to take part in this project. First of all, just what is color? When visible rays of light strike an object, the light reflects at the wavelength of each particular color, and our vision recognizes this as the color of the object. In a setting of 0 (zero) lux, in other words an environment of absolutely no light, it is necessary to produce light rays that reflect the color of an object without being bright. Such light rays are called near infrared light rays. But because near infrared light has a completely different composition than visible light, these must be reconstructed as colors close to those that we can see. In other words, in the theory of capturing color at night, an object is irradiated with invisible near infrared rays—not the visible light we normally see. Light reflects back off the object and the colors of this light’s various wavelengths are analysed and subsequently reproduced as the colors we can see. Although capturing color in the dark is based on sound theory, actually putting this theory into a working product presented Sharp with a number of challenges. But we knew that if such a product could be realized, then even objects existing in total darkness could be seen in color. Sharp thus proceeded to pool all of its resources into overcoming the obstacles. The color night-vision camera employs a small sensor called a CCD. In the color night-vision camera, the three primary colors of red, green, and blue (RGB) are read by the CCD in one of two ways. One is called sequential imaging, in which each component of the RGB is read sequentially by the CCD and then the three are put together to form the colors. The other is called the three-CCD method, in which each of the three CCDs take a reading of each one of the RGB primary colors before combining them to reproduce the actual colors we see. Sequential imaging is good for still objects, but when capturing moving objects there is a time lag for each of the colors, which makes it difficult to maintain high-quality images. The three-CCD method requires three sensors, which limits how small the camera can be. Our solution was to try developing a single-CCD chip system that would read the three primary colors simultaneously. In order to bring the colors of near infrared rays close to the actual visible colors, we developed a special pixel structure for the CCD. While enabling a single CCD to read all three primary colors (RGB), this also solved the practical problem of creating a sensor that would contribute to more compact cameras. The next challenge was color. A CCD analyses light to reproduce color, but this light differs depending on whether it is daytime light or pitch-black night-time light. We had to create a single CCD device capable of reconstructing both kinds of light into the colors we see. The difficulty in doing this was to bring colors from near infrared light information close to the colors we see from visible light. Since no previous related data existed, we conducted experiment after experiment in order to achieve just the right pixel structure for the CCD. The development team put their experience and technology together to eventually succeed in creating a sensor capable of reproducing colors from each type of light: near infrared light and visible light. We had finally succeeded in developing technology for a single device capable of capturing color during both day and night. But realizing a totally new pixel structure would require highly advanced technology. Pooling the vast experience of our engineers with 40 years of experience and technology accumulated in the CCD development field, we embarked upon exhaustive trial-and-error testing that made use of our existing semiconductor manufacturing equipment. Our engineers were practically master craftsmen in the way they made fine adjustments to create the substrate. 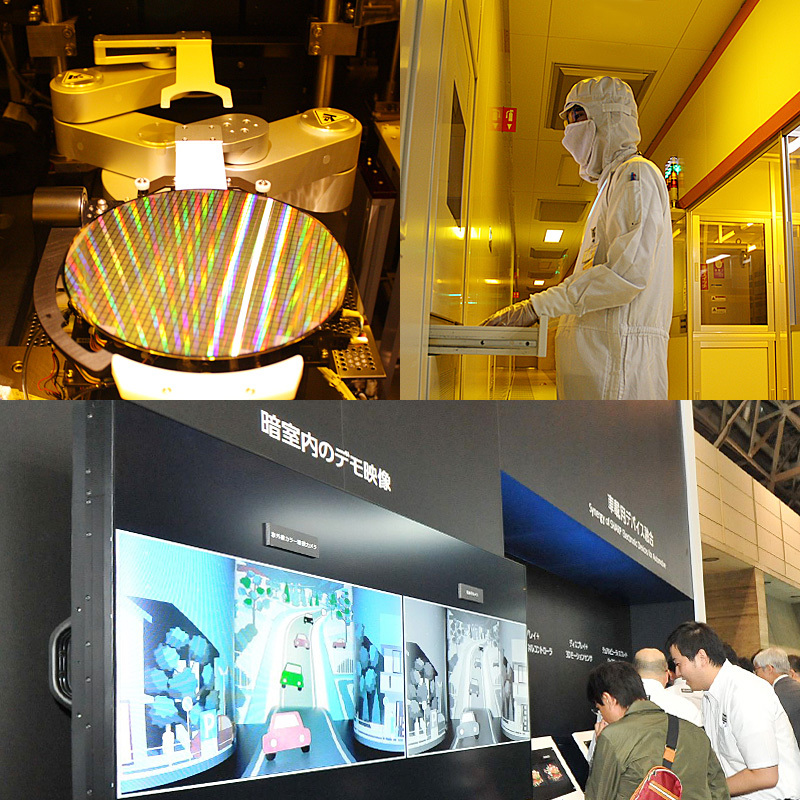 Most of the development period was taken up in reworking our existing semiconductor fabrication equipment so that it would carry out automated mass production of the new CCD. 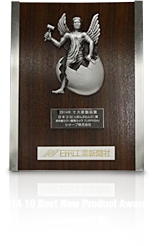 The color night-vision camera made it to market, winning the Digital Imaging Award in the CEATEC JAPAN 2014 Innovation Awards “As Selected by U.S. Journalists” and the Japan Brand Award in the 2014 10 Best New Product Awards, sponsored by the Nikkan Kogyo Shimbun, Ltd. 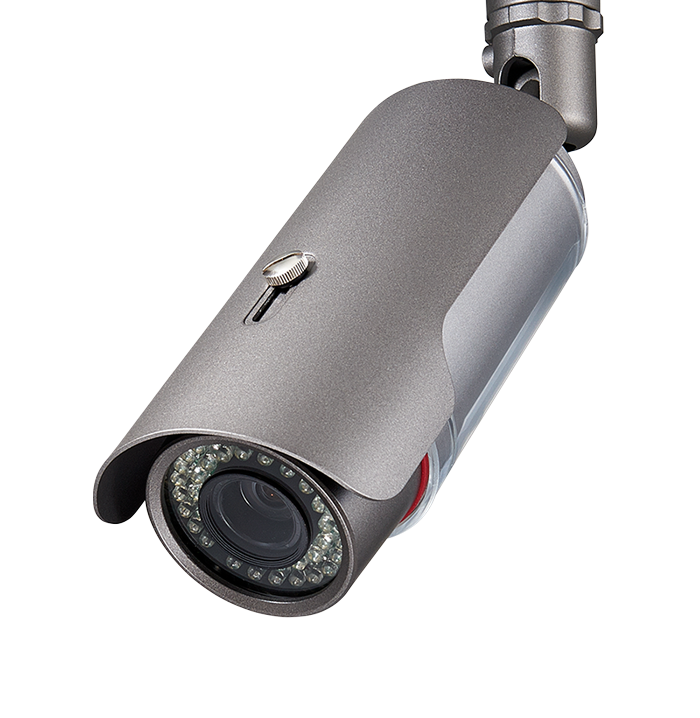 Compatible with the HD-SDI (High-Definition Serial Digital Interface) broadcast signal standard and utilizing Sharp’s wealth of CCD development technology to enable a more compact camera, the color night-vision camera is capable of capturing high-definition images. Day or night, it gives the same high-quality colors in both bright and dark surroundings. And it clears the way for previously unimaginable applications. 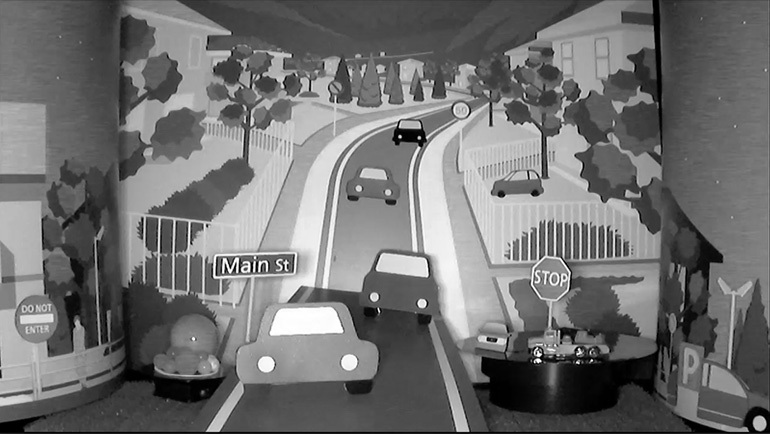 For example, security cameras can now pick up a car’s color and surroundings with clarity and sharpness. Cameras can be used to provide round-the-clock security at hospitals and seniors’ homes, allow night-time wildlife observation, and assist drivers in operating their vehicles at night. 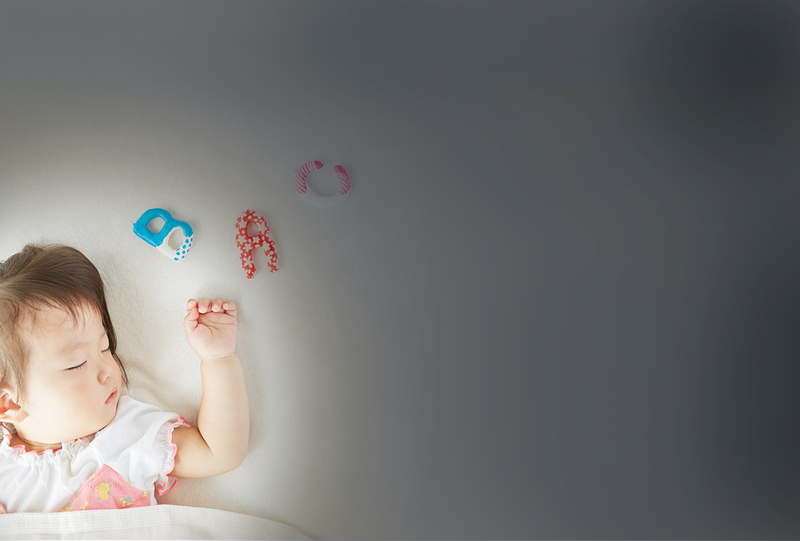 Night-vision-camera-equipped smartphones will bring users new kinds of enjoyment; like taking a no-flash photo of the peaceful facial expression of a child sleeping in a dark room. Sharp will continue to improve the color night-vision camera with higher-quality images, more compact dimensions, wireless image transmission, and of course technologies that will open up new applications in a range of fields. And some day we will think nothing of viewing color images of previously dark worlds, like outer space or the depths of the oceans. Such thoughts make us at Sharp excited and eager to take on the next challenge. What new worlds will Sharp’s color night-vision camera open up to us? Like you, we can hardly wait to see.